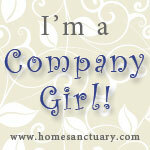 Welcome to all my Company Girls at Home Sanctuary! Is it just me, or are you having trouble getting back in the groove after the holidays? We took 10 days off from Christmas to the Saturday after New Year’s to visit family – lots of family and lots of miles – and other than my “real” work and keeping up with housework, I’m having trouble getting back into the swing of things. Blog posts have gone unwritten, one meal has been cooked the entire week (fortunately it’s just me and my husband and he’s been away for supper most of the week), and I can’t even think about getting back into working out even though I know I’ll feel better once I do. Today promises to be better. I have Bible study this afternoon with some friends and I’ll stop by the fabric store for some quilting fabric. I might even grab my favorite salad while I’m out. The sun is shining, and I feel that I can get back to doing some of those things I did before our time off. I might even take down the Christmas decorations when I get home. In the meantime, I don’t have a topic for this post, so I want to share a cute coffee song that you probably haven’t heard. Sit back and enjoy your favorite hot drink and think about those special things that made you sure your better half loved you even before he said those three little words. My favorite line: Who’d have thought that love could be so caffeinated. Taylor the Latte Boy, sung by Kristein Chenoweth. 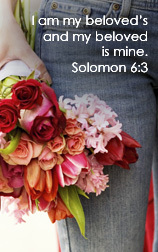 Previous post: What If … You Lived Out Unconditional Respect For Your Husband? Oh my goodness! I LOVE LOVE LOVE that song! Ha! I love Kristien Chenoweth, and now I love her more! That was so cute. Thanks for sharing!! That song was so CUTE! I smiled all the way through it. I’m laying on the couch, feeling kinda yucky, and that made my day! I know what you mean about feeling slow in getting back into the swing of things. My Monday’s To Do list has taken me ALL WEEK! Was I just kidding myself or just overconfident or what? Anyhoo, I hope to strike the last couple of things off it before the day ends. argh. S.L.O.W. I need to get to the material store tomorrow for some new quilting fabric too….I can’t wait….I love picking out new fabric! Ok, that was just too flipping funny. Thanks for the laugh. I LOVE Kristin Chenoweth! She is one of my all time favorite performers! Thank you for posting this! And thanks for the coffee too! I am having trouble getting back into the swing of things myself. I had all these big plans of things I was going to start this year and before I could even begin we were a week into January! It is just taking off and I am still on the starting line. Let’s hope we can all get back on track! Good morning! Thanks for visiting my blog and for the Starbucks coffee this morning. That video was too funny! Hmm, wonder what the guy’s name at my starbucks is? 🙂 Actually I have lovely girls that work at my favorite Starbucks and I know just about all of their names. I have not gotten back into the groove of anything. Since Spokane had such horrid weather since before the official first day of Winter Break, I haven’t taught and it’s been horrid to not be in a classroom. This week I went in to help at my “home” school and loved being there with the kids and teachers. However, it’s still not “mine” and I’m really out of sync. It’ll get better, with God’s help. He’s going to be working on me a WHOLE bunch these next few months, I can already tell. We’ve been trying to get back to “normal” from the holidays as well. « What If … You Lived Out Unconditional Respect?